Plus 4 in lovely condition, Viewing is a must. Painted in classic Connaught Green with a Black Leather Interior. We really do recommend a viewing to see its superb condition for it’s period, hopefully the photographs will do it justice. A classic Hood and Tonneau cover in black compliment the car in all weathers and extras like top wing side lights, Mota-Lita steering wheel and Stainless Door Check Straps finish things nicely. 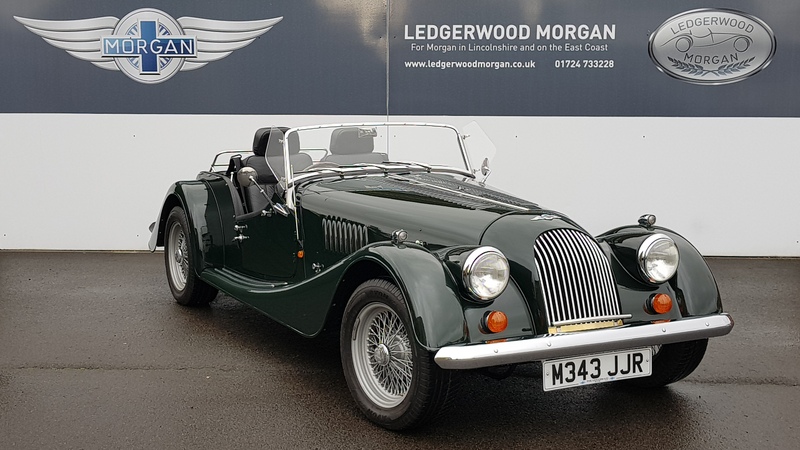 Please contact us for more information and or to view this beautiful classic Plus 4. Painted in Connaught Green with a Black Leather Interior. Classic Black Hood in Pvc with Tonneau cover and also spare wheel cover. 5 Wire wheels, Full Bumpers front and rear, Stone Guard, Top Side Lights, Stainless Steel Round Door Mirrors, 2x Tread Rubbers each side, Reclining Seats, Organ Type Accelerator Pedal, Wind Deflectors, Luggage Rack, Badge Bar. Black Leather Reclining Seats, Stainless Steel Rear View Mirror, Stainless Steel Door Check Straps, Stainless Steel Chassis Protectors, Mota-Lita Steering Wheel.